Elly is a Project Consultant at Root Cause, advising social entrepreneurs and social investors on performance measurement systems, social impact strategy, and leadership development. She supports clients in advancing social innovation based on the view that no organization can achieve widespread social impact on its own. 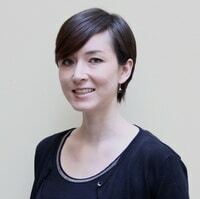 Elly is also a core staff and an advisory committee member for the Japanese Disaster Relief Fund – Boston.It is a two year fund created to support local NGOs and volunteer communities on the ground best positioned to aid those affected by the earthquake and tsunami in northern Japan. Before her MBA at Duke University, Elly worked in Tokyo as a consultant at Deloitte Tohmatsu Consulting and an IT business analyst at Mizuho Securities and Western Asset Management. Elly aspires to become a social entrepreneur in her home country of Japan through engaging retirees and youth to support social enterprises in developing countries in Asia. During her graduate program, Elly was a market research intern for BRAC Uganda and served as a board development consultant for a local nonprofit in North Carolina supporting victims of domestic violence. Elly received her undergraduate degree in Cognitive Science from University of California at Berkeley. She can be contacted at elly.orourke@gmail.com and followed on Twitter at @ellejel. This weekend’s Harvard Social Enterprise Conference kicked off on a youthful note with the Young Entrepreneur’s Keynote, which included Kavita Shuka of Fenugreen, Lauren Bush Lauren of Feed Projects, and Taylor Conroy of TenInThree.com. NextBillion is heading to Harvard this coming weekend along with 1,500 attendees and 75 speakers to cover the annual Social Enterprise Conference. The student-run conference, jointly produced by Harvard Business School and Harvard School of Government, is in its 13th year and boasts a wide array of keynotes, panels, a social business plan competition, and a career fair - all embodying innovation, inclusion, and impact. Over the past ten years, Acumen Fund has refined its approach for investing in market-based solutions to uplift the poor. In Acumen’s 10 lessons from the past decade, lesson #4 emphasizes the significance of local solutions driven by strong leadership to solve poverty in their communities. Here’s how some corporations have embodied this lesson. At this month’s Columbia Social Enterprise Conference panel on Impact Investors Spreading Social Innovation, Charly and Lisa Kleissner of KL Felicitas Foundation shared their journey in merging personal values with wealth management. The Kleissners immediately radiated the boldness and entrepreneurial charisma of Silicon Valley. At the 2011 Columbia Social Enterprise Conference panel last week, 3 social enterprise managers pondered technology’s role in the social sector today and how it advances philanthropy. A theme throughout the panel was the importance of incorporating the human experience into the technology, a potential key to unlocking a surge in donor activity. KL Felicitas Foundation began in 2000 with a vision to scale social innovation through impact investing and support social enterprises everywhere along the spectrum from the seed stage to start-ups that are rapidly expanding. The co-founders will be on the panel "Impact Investors Spreading Social Innovation"at the conference this Friday. Like oil and water, many would argue major energy companies don’t mix with advancing social impact. However, in an industry better known for oil spills and fat profits, the Shell Foundation is shattering stereotypes by providing financing for energy and infrastructure organizations too small for commercial funding and too large for microfinance.